3 cool joints to get your Fro-Yo fix ! I discovered Frozen Yoghurt treats a little late in the day, but thanks to my 12-year-old boy, I am hooked. As in, I make unheard of special trips to the nearest store to help myself to a Fro-Yo fix. I am so addicted! Super-healthy, all natural, low-fat, probiotic rich and if you choose sensibly – with a whole lot of additional goodness through toppings of fresh-fruits, granola, cereals, nuts and more – It scores a 10 on 10 on both health & taste. Internationally, frozen yogurt is consumed with fruits, cereals and granola for breakfast, or else, as parfait in desserts. Here’s a quick look at 3 popular destinations in the city that offer this fantastic experience! This is my favorite by far! I love the wide choice in yoghurt flavors (Vanilla, Mango, Cappuccino etc) & the variety in fresh fruit toppings apart from all the other cereals, nuts and sauces. The cute little sit-out overlooking the Mall atrium (at Ambience Mall, Gurgaon) is never over-crowded, plays good music and gives you a nice view of the action in the mall. You can also get some healthy sandwiches to make for a complete meal.Last I was there, they were also offering a free Cappuccino with a Sandwich order. 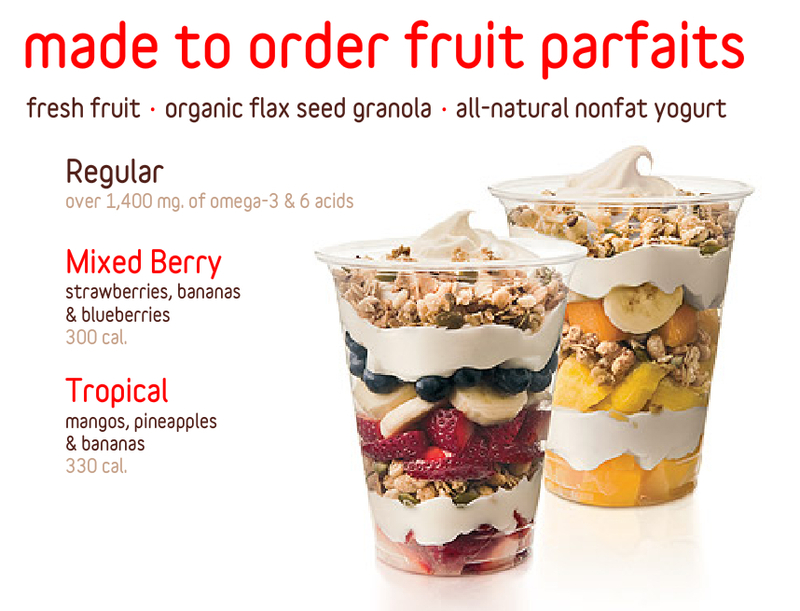 Must try – Their amazing made to order Fruit Parfait! Makes me wanna cry. In a good way. Fresh Fruits, Organic Flax Seed Granola, All -Natural Nonfat Yoghurt.Somebody feed me already. 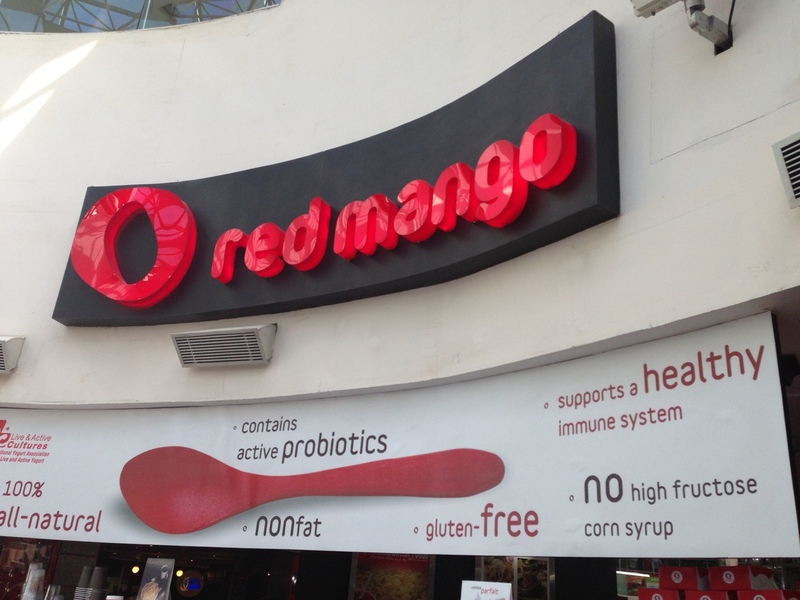 The latest entrant in the Fro-Yo market, this Spanish brand has just opened an outlet in Galleria Market, DLF-IV, Gurgaon – a cute, well -lit place with very friendly staff. 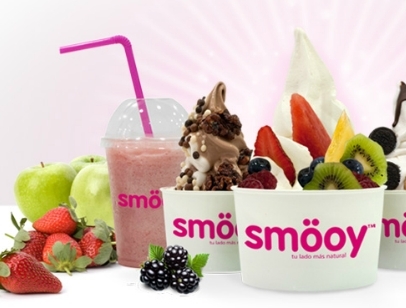 Smooy offers Frozen Yoghurt treats as well as Ice-cream. 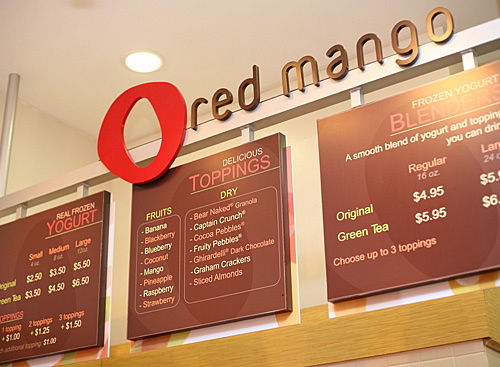 As per the store manager ( and verified with their official website), they make their Frozen yoghurt on-the spot from recipes created by their master ice-cream makers in Spain. Add a choice of fruits, nuts , sauces and jams to your Yoghurt. Also, on offer are healthy yoghurt Smoothies. Just.as.we.like it. Say hello to Smooy here.! 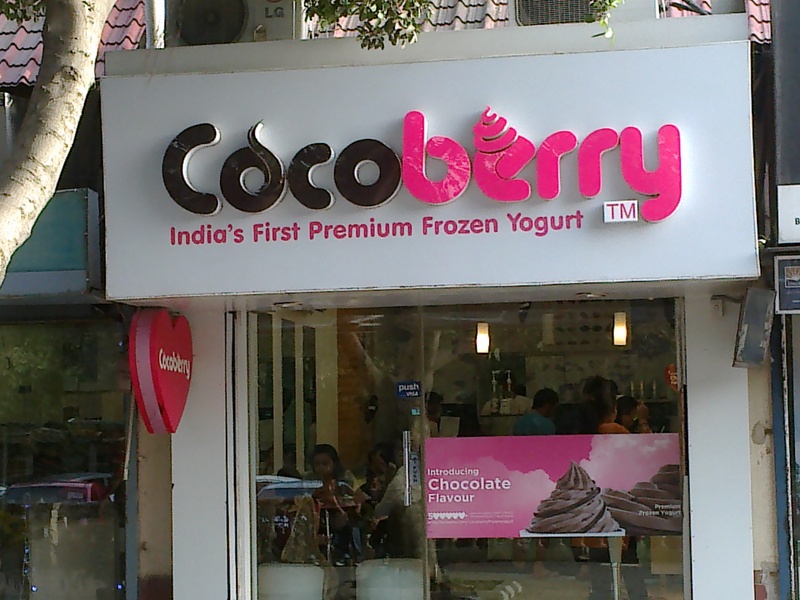 Popular with the city youngsters, Cocoberry was the first to introduce the city to frozen yoghurt desserts. The outlet at Galleria Market, DLF-IV offers Fro Yo treats with a mix of fruit & nut toppings. Their fun candy toppings are a hit with my kids! 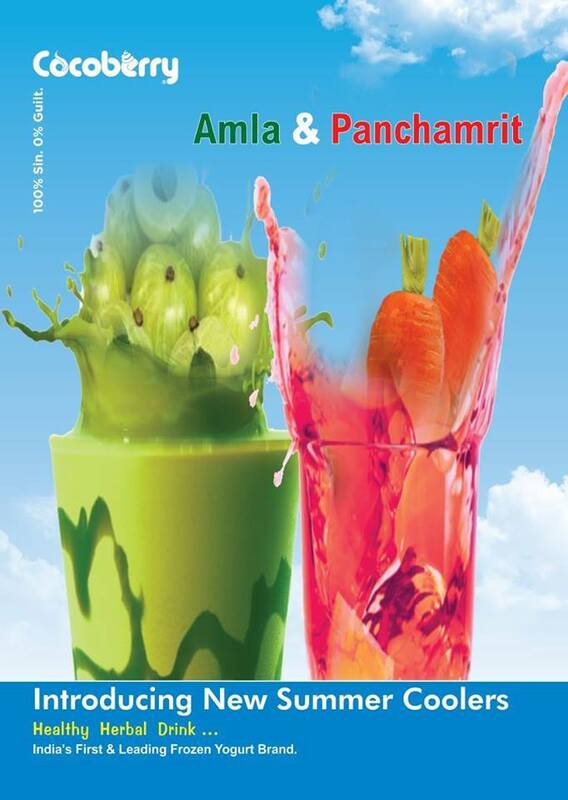 Cocoberry’s latest healthy offering for Summers – Healthy Herbal Drinks – Amla & Panchamrit. Go, get your health fix this summer. Discover Cocoberry on Facebook here! 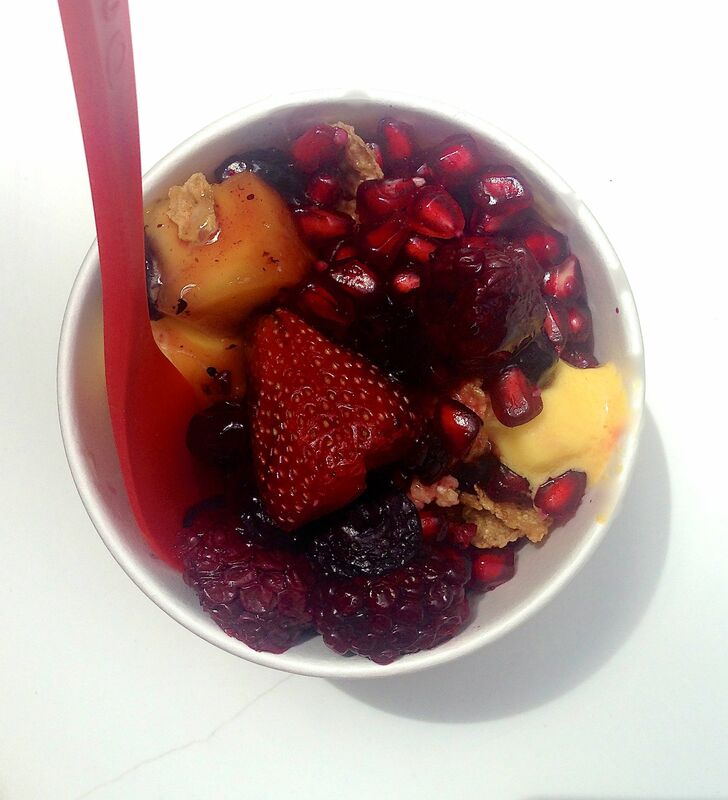 Which are your favorite Frozen Yoghurt toppings? Drop me a comment and stay naturally lush! Previous PostPrep for your first 5K/10K with Tanuja Sodhi!